April already! How did that happen? As we start turning the corner and emerging from a long winter, we’re really excited about all that we have going on at Windy City. The CrossFit Open is over — for now — and we couldn’t be more proud of all who participated and completed the 5 week gauntlet. Up next? Well, don’t look now…but our 12th annual Murph event is right around the corner…June 1st! And you know what that means…Murph Team Training is even closer (more info coming soon). As well, be on the lookout for the ultimate Windy City challenge that coach PJ is putting together! Lastly, we are really fired up to profile this month’s Athlete of the Month. In a very short amount of time — and no doubt due to their openness, love of the community and positivity — this person has become an absolute staple at Windy City. All that and more below…check it out! We would like to give a BIG shoutout to ALL who participated and completed the 2019 CrossFit Open. It's a long five weeks...Be Proud! And... don't forget to check the Windy City Leaderboards! Reminder… Zen Planner offers workout tracking! With the app, you can... view published workouts; record your results for each workout; and view leaderboards for results logged each day. If you haven't downloaded the app, click on the links below to view it in the iTunes or Google Play store. We've got a new 24 week Olympic Weightlifting program starting this week, broken into three separate blocks (Base / Structure / Peak). If you've been on the fence about Oly, or just looking to try something new / different...now is a great time to start. Classes meet Tuesday evening / Thursday evening / Saturday morning. You'll be in good hands with coaches Eloise, Small Paul and Doc. As well... we have another new programming option that we're now offering all current Windy City members. We're fired up to introduce Windy City STRONG...our unique blend of strength and bodybuilding programming developed exclusively by Windy City Strength & Conditioning. The goal of Windy City STRONG is very simple...we want to make you STRONG! Cycles will be programmed 3-4 days per week, and typically across 10-12 weeks. Cycles will vary in focus, but you can always expect to see a blend of powerlifting (heavier loads / lower reps) protocols for the main lifts, and higher volume bodybuilding (moderate-to-heavy loads with higher volume) protocols for the supplemental lifts…resulting in an effective ‘power building’ approach. Our initial 11 week cycle starts this week! BIG congratulations to last month's male and female winners -- Scott Haike and Laura Ross. Any coincidence these two also crushed the February check-in challenge? As winners, these two will receive some free Windy City gear. To redeem, just check-in with Jim (Jim Live) at the front desk and he'll hook you up. And... introducing April's 60 second challenge... Max Wall Balls! You'll have until the 14th to get your scores up and verified by a Windy City staff member. It's that time of year again. 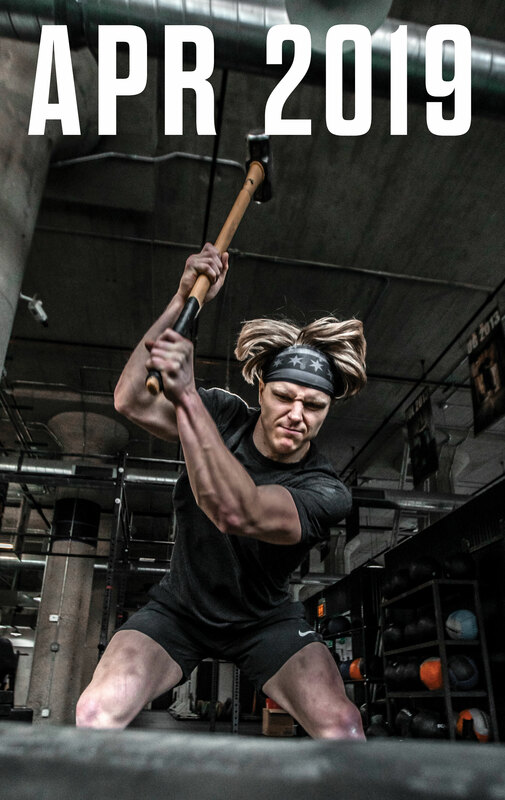 The CrossFit Open is over, and we're starting to turn our attention to summer...and, of course, the unofficial start of summer...Windy City's Murph Day! This year's event will be on Saturday June 1st. More details and sign-up links coming soon. We're also looking forward to putting together another cycle of Murph TEAM Training. Again, more info and sign-up link coming very soon. We wanted to pass along what seems like a cool event, being put on by Evan Miller and CrossFit legend Chris Spealler, at Wilmot Mountain on July 13th. The Mountain Meltdown is, basically, a 5k for CrossFitters...just over 5k of running combined with five 3-8 minute mini WODs (high output classic CrossFit couplets and triplets). If you're interested in participating, use the "WilmotGnarly" coupon code for $10 off through April 5th at midnight. To register, click HERE! 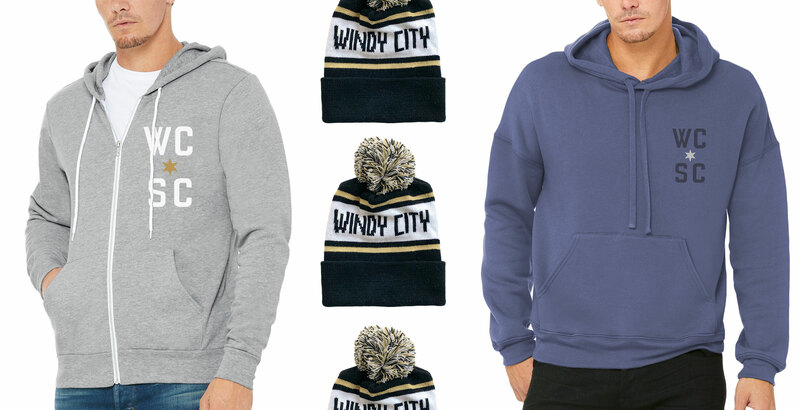 We've got two new crews that just started with Windy City SC. Please join us in welcoming our new crop of 6 Week Kickstarters -- as well, the crew from Bounteous (just down the street) -- to the Windy City community. We're fired up to have all of them here with us as they start their journey. Again...WELCOME TO WINDY CITY!!! If you’ve ever been in an 8:30am class, you’ve surely heard Mark’s resounding voice. He’s fired up for every workout and always cheers the loudest for everyone in class. Although he has only been at Windy City for a few months, his charisma and camaraderie have made a strong mark (hehe) in our community. Congrats Marks on being the AOM for April! You deserve it! The Decalibron—Four 14k peaks in one day—trial run before a possible Windy City Peak Bagger Experience. "Hate U Give" by Angie Thomas—Studying it in an Adolescent Literature class I'm taking for graduate school at North Park University. FLEO gym shorts—I am loving them. They are like spandex pajamas. Perfect for squats. Also they have the coolest designs. Somm 1, 2, 3—I grew up on a winery in South Africa and still own and manage the estate. I also love to learn about new things and appreciate how difficult it is to become a master in one field. The documentaries combine both my love for wine and appreciation for attaining what you set your mind to.